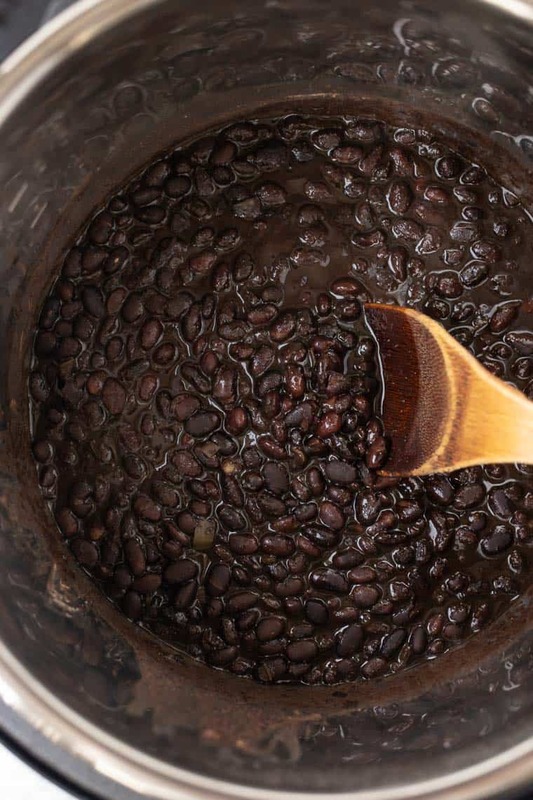 How to make Instant Pot Black Beans without any soaking. 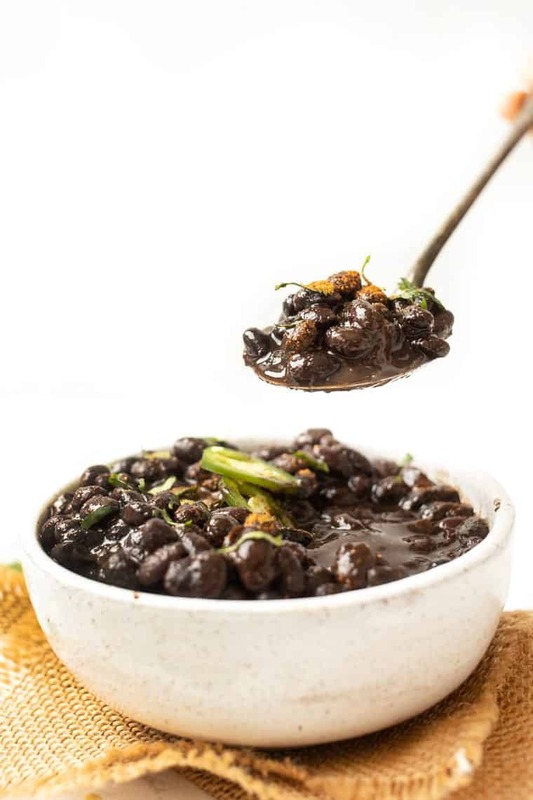 This fool-proof method yields perfect, soupy black beans in the pressure cooker in under an hour! I'll be honest, I was a little skeptical of the Instant Pot at first. I mean I have a slow cooker already and don't really use it all that much, so was this just another appliance I was going to buy and leave it to gather dust in my cabinet? After using it for a few months, I can say the Instant Pot is a game changer. I have been absolutely loving it and now totally get the hype. 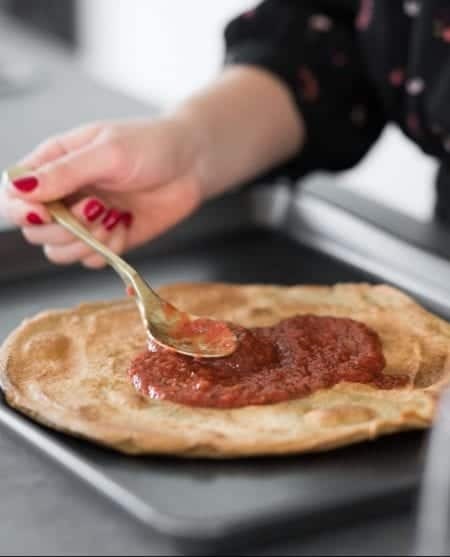 It allows you to cook things that traditionally take a long time – like soups, stews and beans – in a fraction of the time. And since it cooks under pressure, it also locks in all the incredible flavor! Especially for someone who loves beans (me!) because you can make perfectly cooked beans in under an hour with the Instant Pot. One of the reasons I bought an Instant Pot was because I wanted to start cooking beans from scratch. I know that beans aren't that hard to make in general, but it does take quite a long time and frankly, I just never make it a priority. The soaking overnight and then the 1+ hour cooking time? It feels a little daunting. That's where the Instant Pot comes in. You can cook beans from scratch, without soaking, in under an hour. If you do soak them, the beans are ready in 30 minutes or less. It's amazing! 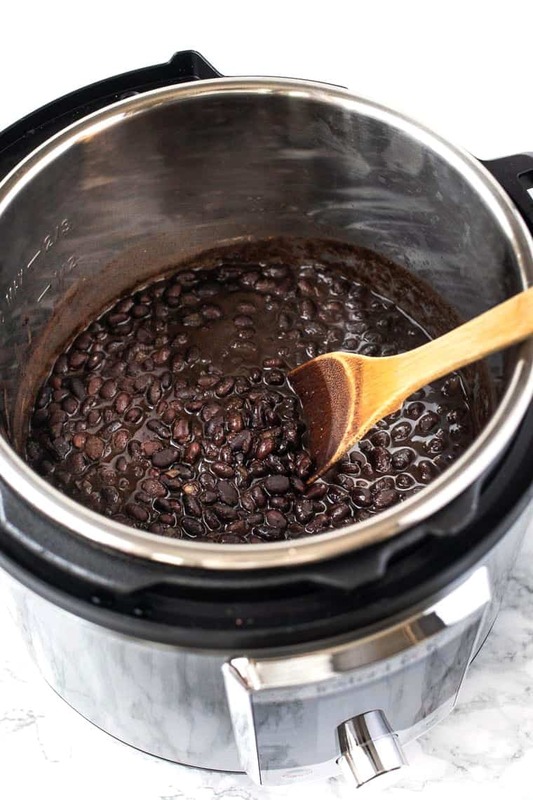 When it comes to actually cooking your Instant Pot black beans and how much water you want to use, it's all about the style of beans you like. Do you like soupy beans? Or do want beans that are a bit on the drier side? At a minimum, you want a 1:1.5 ratio. One cup of beans to one and a half cups of water. For me, I love when beans have a bit of moisture and “sauce” to them, so the perfect ratio of black beans to water was 1:2. 1 cup of black beans to 2 cups of liquid. For beans, the cooking time will vary based on the type of bean but also based on if you soak them or if you're cooking from dry. For this recipe, to keep it as easy as possible, we're cooking them from dry. No soaking required! I found the cooking time for perfectly saucy black beans in the Instant Pot to be 30 minutes with a natural release of 20 minutes. In total the whole process takes just about an hour and I swear these are some of the best black beans I've ever tasted! The final thing to consider is your flavoring! 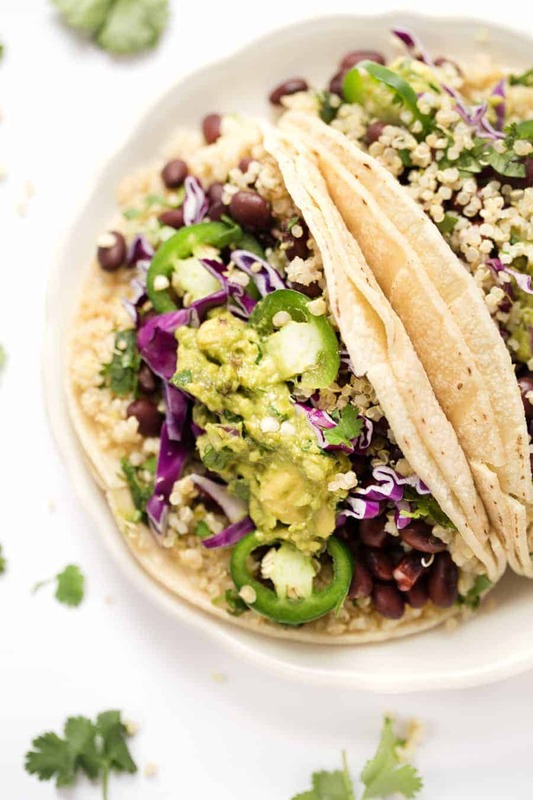 While beans on their own are certainly tasty, why not get a little snazzy and add flavor. 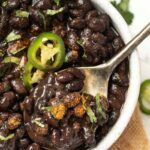 I wanted to give you a recipe for spicy black beans because first I'm a fan of spice (as I know many of you are too!) 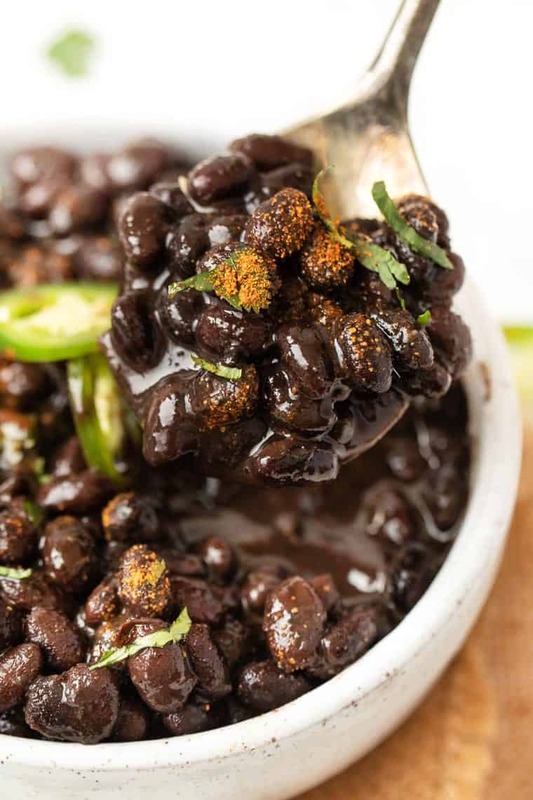 and second, these black beans can go with pretty much any recipe! To make your black beans taste good, I like cooking them with some chopped jalapeño, classic spices like cumin, chili powder, garlic and cayenne for a kick, and then doing half water, half vegetable broth. And just like a slow cooker recipe, this is a dump and cook recipe! You just dump your beans, peppers, spices, and liquid into your Instant Pot, put on the lid, set your cooking times and in under 60 minutes your beans are done and ready to enjoy! 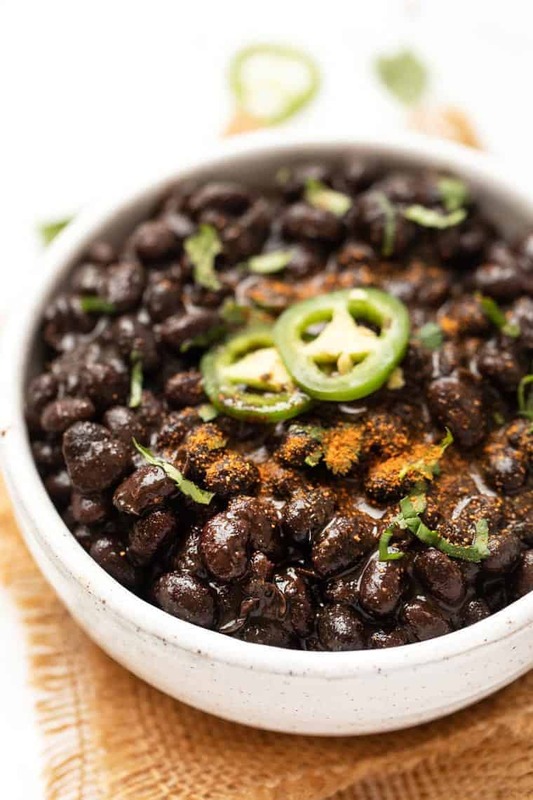 These instant pot spicy black beans are simply perfect! 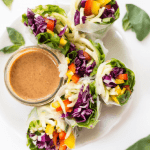 They've got tons of flavor, are cooked from scratch and go well with pretty much everything! Add the beans to a fine mesh strainer and give them a quick rinse. Transfer the beans to the Instant Pot. Add the remaining ingredients into the Instant Pot and cover with the lid. Set the pressure to High and cook for 30 minutes. Allow pressure to naturally release for 20 minutes. Remove the lid and give the beans a stir. There should still be some liquid in there so they're somewhat "soupy". Drain liquid if desired (but I love that juice!). Add lime juice and cilantro if desired. Enjoy with your favorite meal! Beans can be refrigerated for 4 days and frozen for up to 6 months. 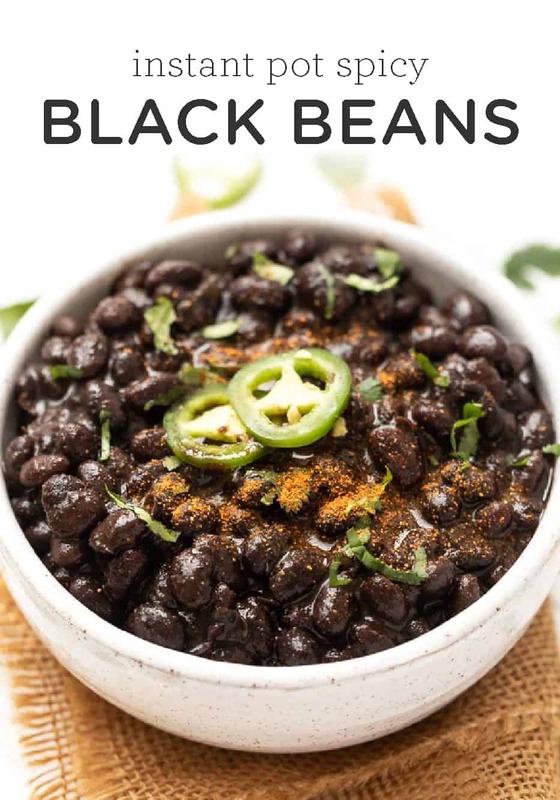 If you just want simple Instant Pot Black Beans, leave out all the spices and just use the salt, broth and water! 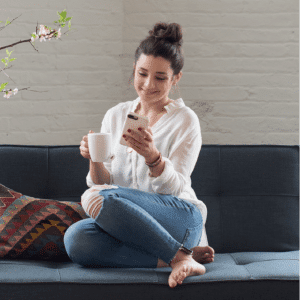 Instant Pot – I have this one an absolutely LOVE it! Can this be done on the stove top or slow cooker as well? I haven’t tested it, but yes I think so! How do you recommend to thaw the beans after freezing? I would say just let them come to room temp! How do you recommend reheating from frozen? This was beyond delicious! So flavorful, and the beans were cooked to the perfect consistency. I topped mine with cashew cream and chives. So good! 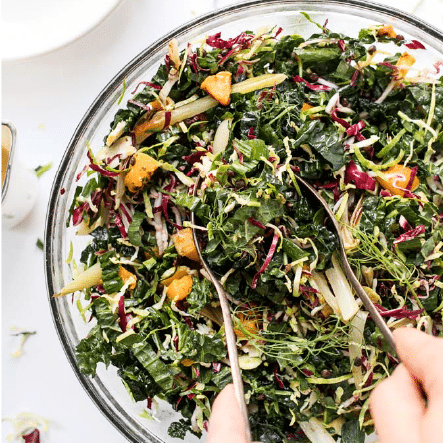 I’m definitely making this again – it’s going in my weekly rotation! Thank you for the recipe! YAYY! So glad you enjoyed them 🙂 that combo with the cashew cream and chives sounds INCREDIBLE!